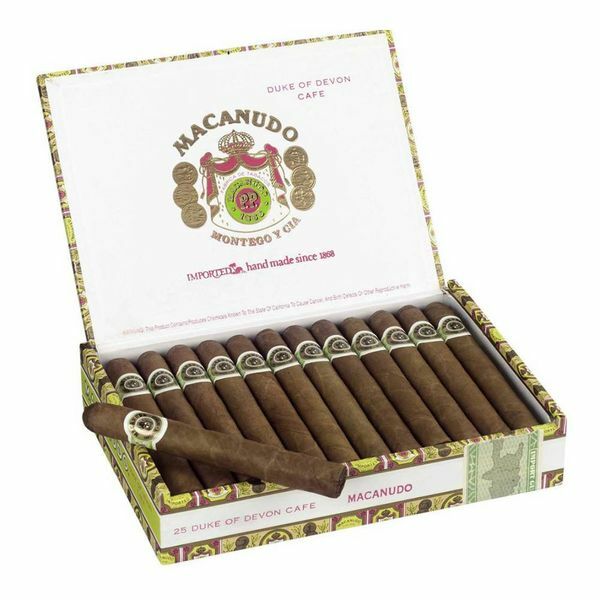 Macanudo may have a funny name, and their box may be one of the more flamboyant boxes that you can find in your local cigar shop’s humidor or your favorite online cigar shop’s web page, but that doesn’t mean that they haven’t been making fine cigars for over a century and a half. Founded in Havana, Cuba, originally by a German, they were designed with one real goal in mind; to tap into the European market, and to pander to the tastes that were common in this market. To that end, the cigars that were made are ones that would appeal to the English and European market, but they remain some of the best cigars on the market, and they remained so until the Cuban revolution, when the owner of the company fled and had the company nationalized by the Cuban government. A sad ending to our access to so great a cigar. But there’s more! Macanudo opened again, and began to operate outside of Cuba, producing cigars that mimicked the old lines and ones that were popular still. Better yet, they had access to the American market, because there was no embargo against them, and thus you can get Macanudo cigars that are the spiritual successor of those made before the Castros took control. They’re very mellow, and their taste is a bit peppery, but you will find that they are complex enough to keep you coming back for more.